I love runes. I started learning about them after watching the movie Stardust based on the book by Neil Gaiman, when I was in high school. The rune stones were a cinematic addition, not present in the books but, they looked so freaking cool. When I found out they were a real thing beyond the realm of the Stardust universe I was like, “Yea, I’m gonna learn that.” Of course, now I know they simplified runes for the sake of the movie. But that’s another story. Before I go any further, I want to say that this is a personal view of how I have used and do use runes. As always, I can only tell you what I know from my experience, perspective and understanding. 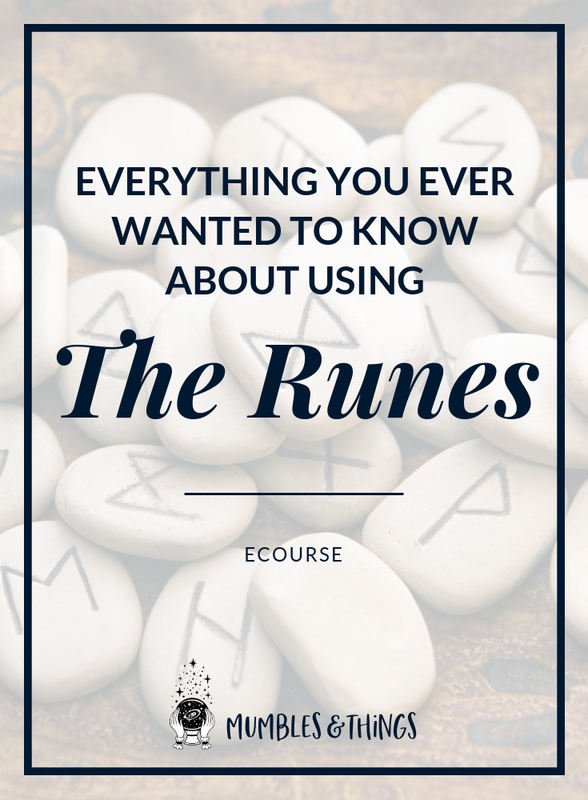 This is not the only way to use runes, it’s just what I know and what I can share with you. You will find many other methods and experiences from pretty much every source you go to and this is because the origins of Runes are shrouded in mystery. The history of Runes is really important to your understanding of them, but I’ll just give you a brief history for context. The runes come from first century Germanic languages in Europe. They are the characters in several alphabets from this time period. As Christianity spread through Europe, the Rune characters were gradually replaced with the latin letters we know today. The Rune characters never disappeared completely because they carried deep meaning for the people who used them. They were revived in the 20th century during the time many spiritual practices were resurfacing and becoming popular. The complete picture of the Runes meaning and story is not known. A lot of how they are used now, relies on the intuition of the user. This is one of the main reasons there is so much variation in the meanings, uses, and even names of these symbols. The runes stone set I have has the Elder Futhark alphabet engraved on it. I think this is the most common alphabet. Most sets come with 24 stones, wood slices, or plastic pieces that have runes engraved in or printed on them and one blank. Some set do not have this blank stone. Some have more or fewer characters. You don’t need to have your own set of runes for magical purposes but for divination you will. Traditionally, a rune set should be handmade by the user. This adds your own signature to the runes and make them more attuned to your personal brand of magic.I purchased mine, and I think it’s perfectly fine to work with purchased runes. Whatever form your rune set takes, make sure you carry them with you for couple of days in the beginning to imprint your energy on them. I think one of the reasons I connected with Runes was that it gave me the opportunity to communicate with the Universe using visual queues rather than verbal. Especially when I was more secretive with my practice. I didn’t want to chant or say my affirmations out loud. Plus, symbols are a simple way to express complex ideas and manifest our desires. I also think Runes helped me become more comfortable speaking my intention out loud. Because through learning about Germanic culture I discovered that the Germanic people believed spoken word to be truly powerful. In Germanic lore, the runic symbols were used for magic before the became part of a written script. But once they were incorporated into the writing system they became even more powerful. Speaking a thought out loud was to make the thought real in a way that could never be reversed. Today, we can apologize away a misspeak or clarify our meaning. But in the past, careless speech became part of the world. Runes combine the power of symbols and the power of speech. Many rune casters actually chant the names of the runes as they come up. Each of the runes has a specific meaning and interpretation based on a variety of factors. You can use the symbols for magical workings or for divination. This means, interpreting the runes to predict the future, find guidance when making decisions, communicate with the spirit realm and more. 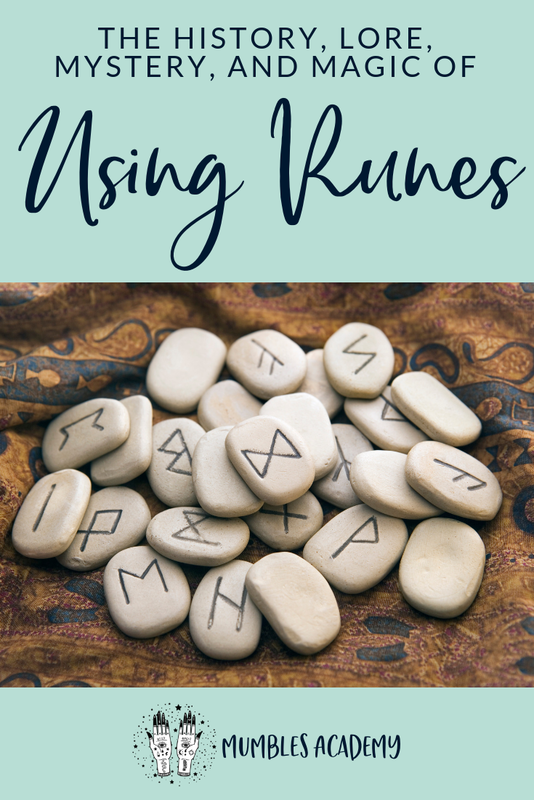 The thing to keep in mind with using runes, and really this can apply to most forms of intuitive divination, is that they are meant solely for guidance. Your future is not set in stone (even if the rune may be). Whatever the runes tell you or however you interpret them, is not unalterable. It is based on the current circumstances surrounding your mindset and environmental factors. If these change, the outcome predicted by the runes also changes. Something that is especially true for runes is the idea of future, present and past. Let me share some contextual mythology of Runes now. Since runes are rooted in Norse culture and mythology we have to look at the cultural perspective of these terms. We may see time as linear, but the Norse conception was much more cyclical and a process of renewal. As the present fades into the past it becomes recent past therefore the past isn’t the same. Similarly, the future is influenced by the current present. In Norse mythology there are beings called Norns that we can compare to the Fates of Greek mythology, called Moira. Both the Norns and the Moira are three sisters of varying ages. The difference between the Moira and the Norns is that the Greeks believed fate to be unavoidable. The eldest Moira is called Atropos which means inflexible. The names of the Norns illustrates this idea: “That Which Is” (Urd), “That Which Is Becoming” (Verdandi) and “That Which Should Be” (Skuld). “Should be” is different from “will be.” Should be implies that it may not be. For more about the topics covered in the course see the list below. What is your experience with Runes? Are you a newbie? Let me know in the comments below.